Technology takes a mundane world and turns it into a place of wonder, imagination, and speculation. It may become the beginning of an interest in science. More than just toys, these six gadgets open a desire to know more about the world. Telescopes are affordable on any budget. The best ones feature star finder software that quickly allows you to navigate to an exact area of space. Even the least expensive open the heavens as never before. Many amateur astronomers have been the first to discover new comets with simple equipment. Binocular stereo microscopes for research let you peer into the very small details and are ideal gadgets giving years of fun and learning. Peering into the smallest of the living world gives an understanding of the relationship between all animals, and even how they are similar to plants at the cell level. The double-eyepiece is easier to use than the older style single lens. Home weather stations provide the most up-to-date barometric pressure, humidity, wind strength and direction, and temperature. Once you learn how these work together you will be giving accurate forecasts to your friends for the days ahead. Meteorology is the study of weather and there are many books that help you pick your way through the different conditions. Electronic kits take the mystery out of electricity. They have directed many curious owners unto the path of electronics science and engineering. Today’s kits have snap-together boards which require no soldering. Some kits create up to 250 other gadgets by combining the circuits. A simple laser pointer would have been a technological miracle to the scientists of the 1940s. Today’s pointer serves a variety of uses, and studying how they work reveals many of the mysteries of light itself. If you are curious enough, you can follow the footsteps of Sir Isaac Newton from the 1600s up to the new discoveries about light’s place in the universe. Metal detectors can not only enrich you as you find hidden treasures out at the beach, but you will also become more knowledgeable about the properties of metals and how they interact with electro-magnetic waves. The more you study and know, the better you will distinguish trash from treasure by the way it reacts. Gadgets, whether for fun or for learning, have a way of bringing people out of preconceived notions and into an interest of how things work and are put together. 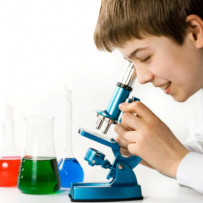 Learning science while combining it with fun develops a lifelong interest in both.